Some data recovery companies claim to have a Cleanroom and state they are ISO 9001:2008 certified. Unfortunately, any company may claim to meet these standards without any outside verification by a third-party. It is recommended that an organization performs internal audits to check how its quality management system is working. An organization may decide to invite an independent certification body to verify that it is in conformity to the standard, but there is no requirement for this. 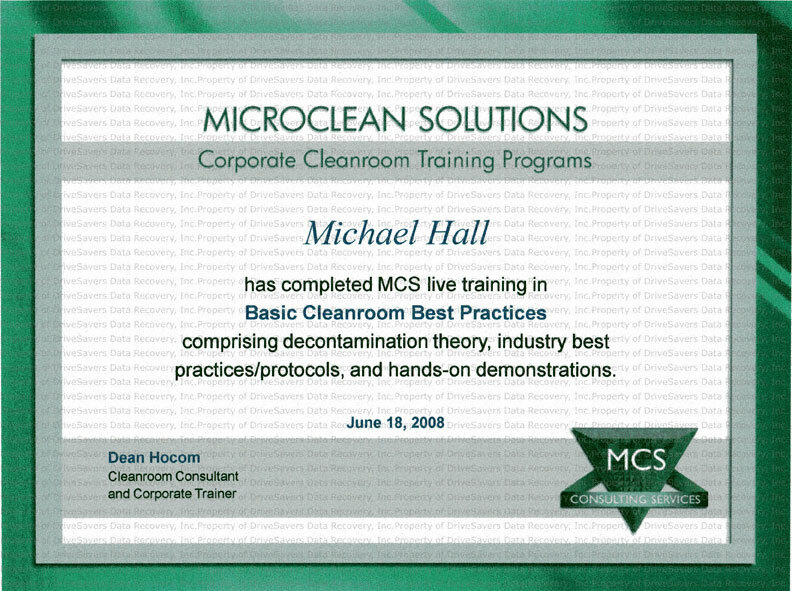 Requirements integral to the operation and maintenance of Cleanrooms have been met. DriveSavers always chooses to undergo ISO certification audit while our Cleanroom is operational. This ensures that the air quality during your hard drive recovery matches that shown in the certification paperwork. “Operational” status is reflected in our ISO compliance certificate.